A mother who mowed down a 10-year-old girl and left her unconscious in the middle of the road has been spared jail. 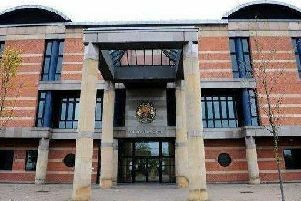 Bobbie Tighe was crossing Redcar Road in Red House in Sunderland on her way home from school when she was hit by disqualified driver Joanne Beven, from Hartlepool. Jolyon Perks, prosecuting, told the court how Bobbie was left in the middle of the road unconscious and suffered a fractured pelvis, soft tissue injuries and minor head injuries. He told the court how a number of features on the vehicle identified that it was dangerous, including damage to the breaking system. The judge, Recorder John Aitken, told Beven: "You mowed down a 10-year-old girl happy to be going home after a day at school. Kathryn, who works as a civil servant, said: "I'm devastated. Bobbie is healing medically but she's having nightmares.